Kolkata, officially known by its British name of Calcutta until 2001, has undergone a dramatic transformation over the last couple of decades. No longer identified with slums, destitution, and the inspiring work of Mother Teresa, the capital city of West Bengal is widely referred to as the cultural capital of India. Kolkata is renowned for its compelling heritage that extends across literature, arts, cinema, music and theater. It’s a vibrant yet intimate city, full of captivating soul and crumbling buildings. In addition, it’s the only city in India to have a tram/street car network, which adds to its old-world charm. 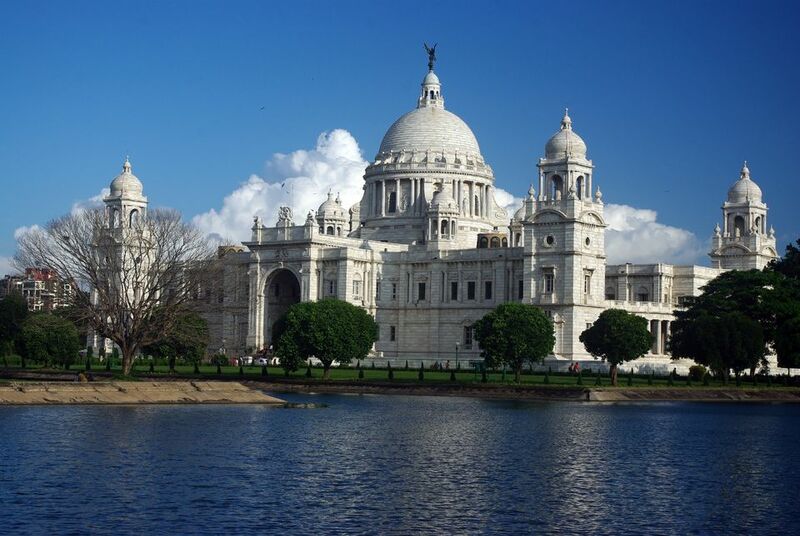 Unfortunately, people often overlook visiting Kolkata in favor of India’s more iconic destinations. However, those who are most interested in history, experiential travel and day-to-day life will appreciate what it has to offer. Plan your trip there with this Kolkata information and city guide. After establishing itself in Mumbai, the British East India Company arrived in Kolkata in 1690 and began creating a base for itself there, starting with the construction of Fort William in 1702. In 1772, Kolkata was declared to be the capital of British India, and remained as such until the British decided to shift the capital to Delhi in 1911. The city’s prosperity and cosmopolitan atmosphere drew an influx of Chinese migrants, starting from the late 18th century when they came to work at the city’s ports. This continued throughout the 19th century, as they fled from the effects of the Opium Wars in China. Kolkata was also shaped by the massive Renaissance social and religious reform movement in the 19th and 20th centuries, which originated in the city and spread across India. During this time, Bengali poet Rabindranath Tagore rose to prominence as the first non-European Nobel Prize winner, and also composed India’s national anthem. Kolkata boomed with rapid industrial growth from the 1850s but problems began to occur after the British left. Power shortages and political action damaged the city’s infrastructure. Fortunately, government reforms during the 1990s have brought about economic recovery. The Chinese community hasn’t been so lucky though. 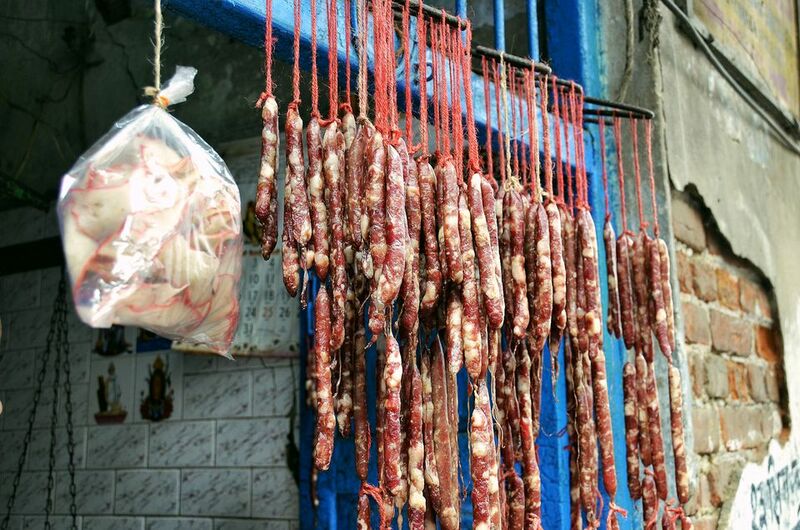 Although Kolkata has India’s only Chinatown, the population has dwindled significantly after facing local opposition. The reputation of creative and intellectual Bengalis, for enjoying spirited discussions and debates, remains strong though. Kolkata is located in West Bengal, on the east coast of India. UTC (Coordinated Universal Time) +5.5 hours. Kolkata does not have Daylight Saving Time. There are just over 15 million people living in Kolkata’s metropolitan region, making it India’s third largest city after Mumbai and Delhi. Kolkata has a tropical climate that’s extremely hot, wet and humid during the summer, and cool and dry during the winter. The weather in April and May is unbearable, and visiting the city should be avoided during that time. Temperatures can exceed 40 degrees Celsius (104 degrees Fahrenheit) during the day and rarely drop below 30 degrees Celsius (86 degrees Fahrenheit) at night. Humidity levels are also uncomfortably high. The best time to visit Kolkata is from November to February, after the monsoon season, when the weather is the coolest and temperatures range from around 25-12 degrees Celsius (77-54 degrees Fahrenheit). Kolkata’s Netaji Subhash Chandra Bose International Airport is India’s fifth busiest airport and handles nearly 20 million passengers per year. It’s an international airport but about 85% of its passengers are domestic travelers. A much needed, new and modern terminal (known as Terminal 2) was constructed and opened in January 2013. Further expansion plans are underway to increase the airport’s capacity to 40 million passengers by 2021. This will involve linking the old terminal with the new one, and then building a third terminal. The airport is located in Dum Dum, 16 kilometers (10 miles) northeast of the city. Travel time to the city center is 45 minutes to one and a half hours. App-based cabs Uber and Ola now operate in Kolkata, and are the easier way to travel. Ola tends to be a bit cheaper than Uber but Uber has more cabs. Alternatively, the city’s distinctive yellow Ambassador meter taxis are another option. The minimum fare is 30 rupees. There are also new “no refusal” taxis, most of which are air-conditioned, painted white with a blue stripe. Kolkata has auto-rickshaws, but unlike in other cities such as Mumbai and Delhi, they operate on fixed routes and are shared with other passengers. The Kolkata Metro, India’s first underground rail network, is useful for those wanting to travel north or south from one side of the city to the other. For getting around the city center, try taking a ride on Kolkata’s historic trams/street cars. If you’re on a strict budget, Kolkata’s worn out local buses have been replaced with upgraded models (some are even air-conditioned) and they operate all over the city. Kolkata is divided into three main districts — north, central and south. North Kolkata is the atmospheric old part of the city, formerly referred to as “Black Town” by the British because it was inhabited by native Bengalis, many of whom were wealthy landowners and merchants. The district has many palatial heritage mansions, with architecture reflecting Italian and Dutch influences (you can even stay in a restored 1920s townhouse). Kumartuli, where statues of Goddess Durga are handcrafted for the Durga Puja festival, is another highlight. Central Kolkata is predominantly associated with the British. The Central Business District is located there, along with grand British-era buildings, Park Street (the city’s landmark thoroughfare), Sudder Street (the seedy backpacker “ghetto”) and Camac Street (an entertainment and restaurant precinct). However, it also has cluster of interesting neighborhoods in what was known as “Grey Town”, between British “White Town” and “Black Town”. These include Bow Bazaar, Burra Bazaar and China Town, where people of various communities live. It’s a fascinating place to go on a walking tour, such as this one. The area around College Street was the epicenter of the Bengal Renaissance and can explored on this walking tour. South Kolkata is a relatively modern part of the city, having developed most in the years after India gained independence from the British. It has shopping malls and many upscale neighborhoods such as Tollygunge, Ballygunge, Lansdowne, Bhowanipore, Alipore, Jodhpur Park and Gariahat. Many of the old mansions around Ballygunge, built by the city’s fashionable elite who relocated to the south, have been converted into hip boutique, restaurants and hotels. In contrast, one of the city’s ancient temples can be found at Kalighat. Further south, the area around South City Mall is a happening hangout for the city’s younger generation. To the east of Kolkata, Salt Lake is a planned satellite neighborhood that’s become the hub of the IT sector. Kolkata offers an eclectic combination of attractions. Take a look at top places to visit in Kolkata and Kolkata photo feature to get an idea of what you shouldn’t miss. An insightful walking tour is an ideal way of immersing yourself in the city. Possibly Kolkata’s most famous street, Park Street (formally renamed as Mother Teresa Sarani) is renowned for its entertainment, restaurants, and prominent historical landmarks including old colonial mansions. 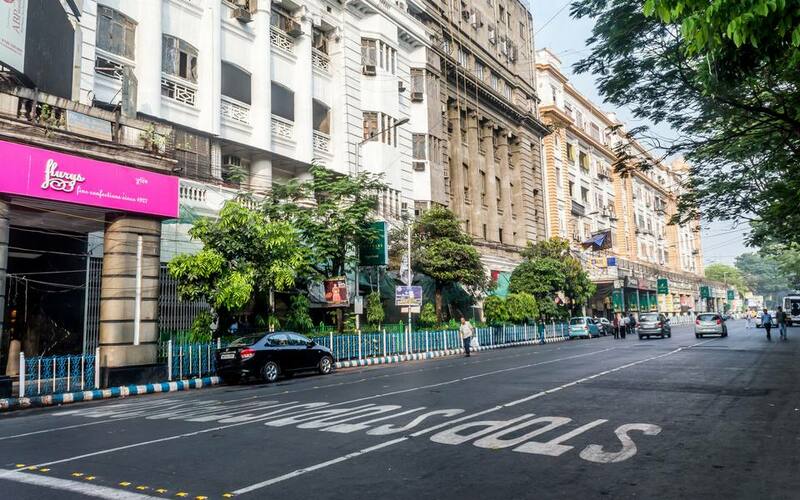 This iconic street was home to India’s first independent nightclub and has been the center of Kolkata’s nightlife since the glory days of the swinging 60s when venues overflowed with jazz, cabaret, and floor shows. Head to Mocambo, Moulin Rouge, Blue Fox and Trinca’s for a rush of nostalgia. Location: Starts from Chowringhee Road to Park Circus. 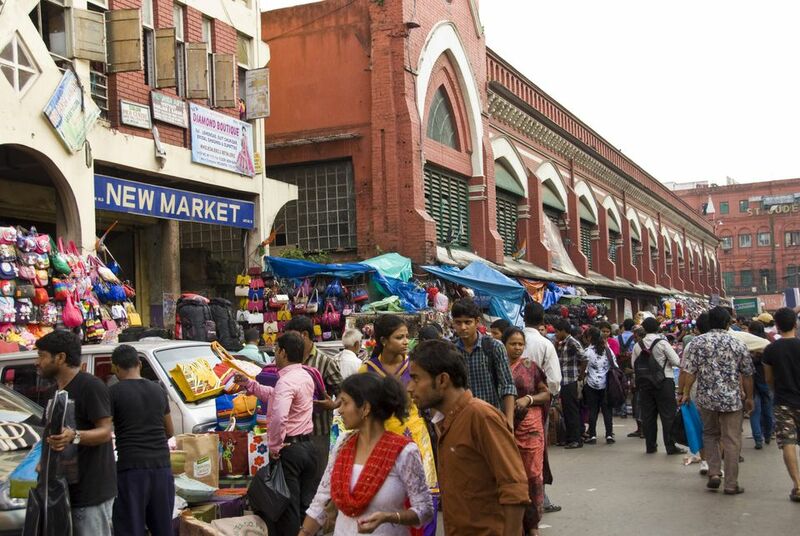 One of the top places to go shopping in Kolkata, New Market is an historic bargain hunter’s paradise. 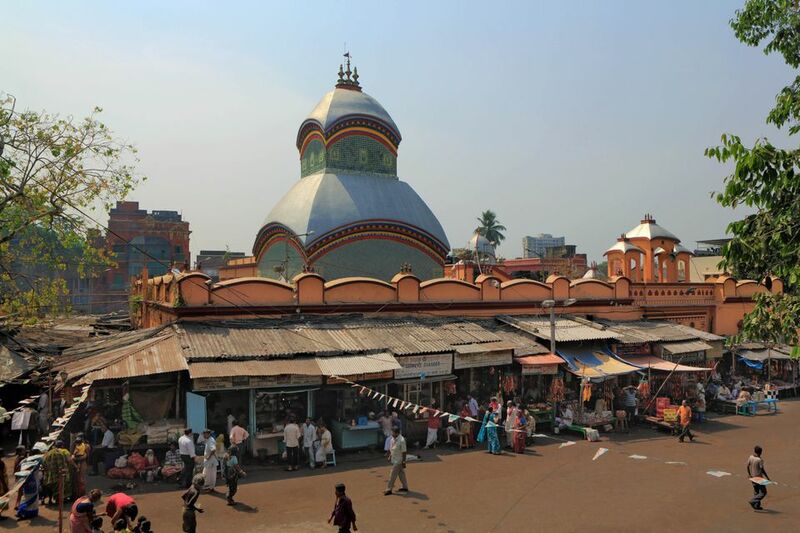 Kolkata’s oldest and most well-known market, it was built by the British in 1874. This sprawling maze of more than 2,000 stalls, all grouped together according to the type of goods sold, offers almost everything imaginable. Location: Lindsay Street, just off Chowringhee Road. When to Go: Monday to Friday, 10 a.m. until 8 p.m. Saturday, until 2.30 p.m. Closed on Sunday. Victoria Memorial is an imposing white building that was completed in 1921 and currently serves as a museum. Named after Queen Victoria of the United Kingdom, it houses a collection from the British Colonial period, including a number of impressive paintings, sculptures, and books. A sound and light show is held there in the evenings. It details the 300 year Raj era from the arrival of the British in Kolkata to the day of Independence. Location: The southern end of the Maidan. When to Go: Tuesday to Sunday, 10 a.m. until 5 p.m. Cost: Indians, 30 rupees. Foreigners, 500 rupees. 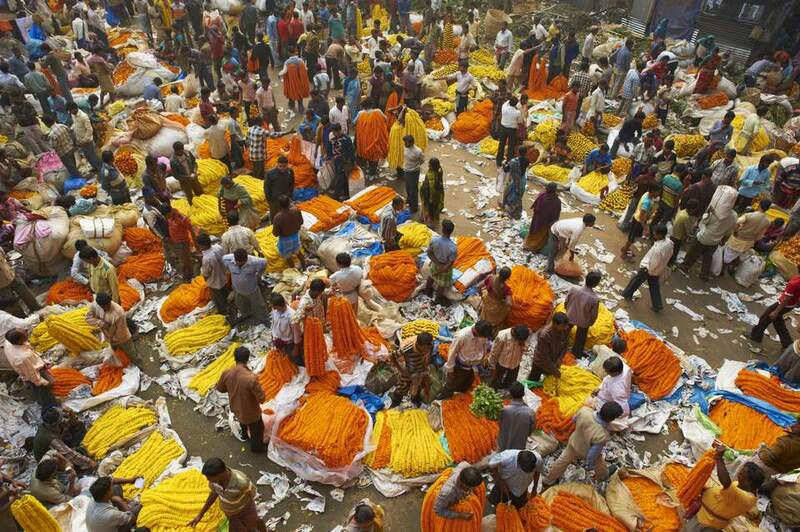 The colorful chaos of Kolkata’s flower market presents a fantastic photo opportunity. More than 125 years old, it’s east India’s largest wholesale flower market with thousands of flower sellers visiting it every day. The market is dominated by sacks overflowing with long garlands of marigolds, popularly used in Hindu devotional rituals. When to Go: From sunrise until sunset. Opened to traffic in 1943, the Howrah Bridge (officially called Rabindra Setu, after renowned Bengali poet Rabindranath Tagore) crosses the Hooghly River to link Kolkata with its twin city of Howrah on the other side. The bridge has a single span without any pylons connecting it to the river bed, and it’s one of the longest bridges of its type in the world. Approximately 150,000 vehicles and 4,000,000 pedestrians use the bridge each day. To get a feel for why it’s said to be the busiest bridge in the world, you really must walk across it! Location: Just north of BBD Bagh (formerly known as Dalhousie Square) central business district. Mother Teresa is highly regarded for founding the Missionaries of Charity and devoting her life to helping ill and outcast people in Kolkata. Visit the Mother House to see her tomb, the bedroom where she lived, and a small museum dedicated to showcasing her life. It displays items such as her handwritten letters, spiritual exhortations, and personal belongings including saris, sandals, and crucifix. The Mother House is a place of silence and contemplation. Many people choose to meditate there while visiting because of its serene, uplifting energy. Location: 54A, A.J.C. Bose Road. Open: 8 a.m. until midday and 3 p.m. until 6 p.m., daily except Thursday. Also closed on August 22, Easter Monday, and December 26. This old and very popular Hindu temple, dedicated to Bhavatarini (“savior of the universe”, an aspect of Goddess Kali), was founded in 1855 by Rani Rashmoni. Widowed at a young age, she very successfully took over her wealthy husband’s zamindar (land ownership) business. Apparently, the idea to establish the temple came to her in a dream before a pilgrimage to Varanasi. The temple was made famous by spiritual leader Sri Ramakrishna Paramahamsa, who was appointed as its chief priest. Location: Rani Rashmoni Road, May Dibas Pally, Dakshineshwar, northern outskirts of Kolkata on the eastern bank of the Hooghly River. Open: October to March, daily from 6.30 a.m. until noon and 3 p.m. until 8.30 p.m. April to September, daily from 6 a.m until 12.30 p.m and 3:30 p.m. until 9 p.m.
From the riverbank of Dakshineshwar Kali Temple, take a boat 20 minutes down the river to Belur Math. 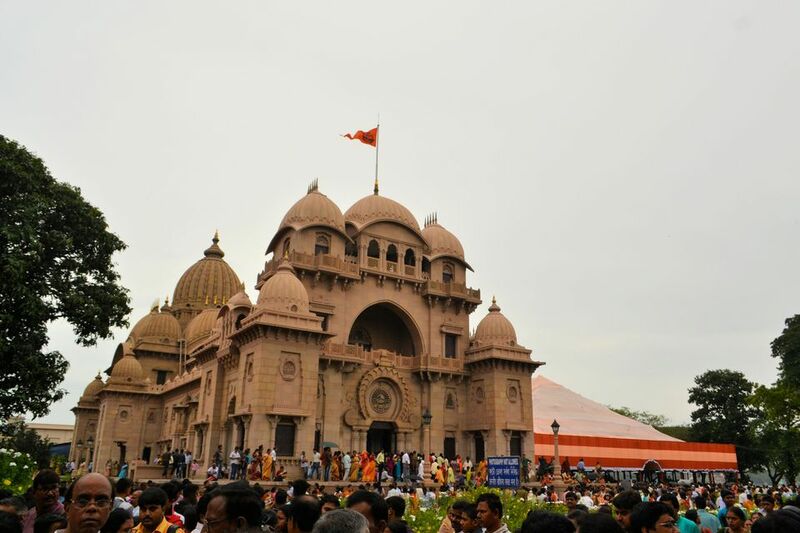 This peaceful leafy complex, set on 40 acres of land, is the headquarters of the Ramakrishna Math and Mission, founded by Swami Vivekananda (a chief disciple of Ramakrishna Paramahamsa). The main shrine, dedicated to Sri Ramakrishna, has unique and distinctive architecture that combines Hindu, Buddhist, Christian, and Islamic styles. It’s worth experiencing the evening aarti ceremony, which beings at sunset. Unfortunately, photography isn’t allowed on the premises. Location: Belur Road, Howrah, on the western bank of the Hooghly River. (Approximately an hour from the Kolkata city center). Open: October to March, daily from 6.30 a.m. until 11.30 p.m. and 3.30 p.m. until 6 p.m. April to September, daily from 6 a.m until 11.30 p.m and 4 p.m until 7 p.m. The settlement of Kumartuli, meaning “potter locality” (Kumar = potter. Tuli = locality), is over 300 years old. It was formed by a bunch of potters who came to the area in search of a better livelihood. 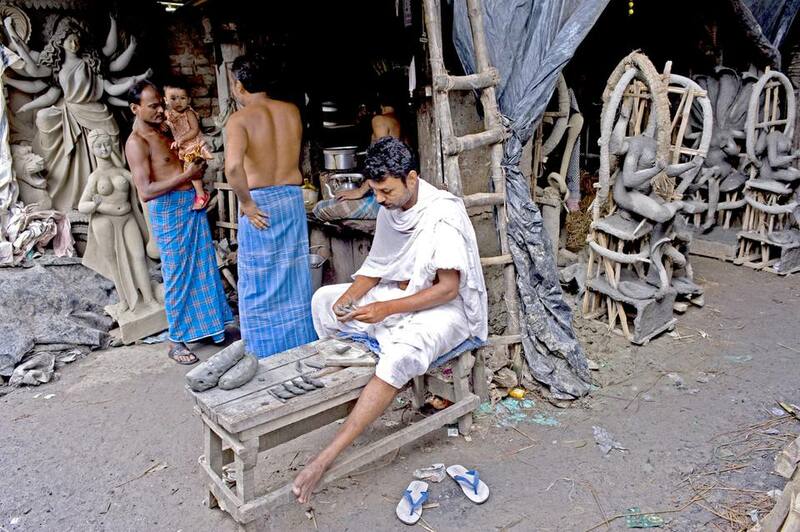 Nowadays, around 150 families live there, earning a living by sculpting idols for various festivals. Location: Banamali Sarkar Street, north Kolkata. The nearest railway station is the Sovabazar Metro. When to Go: Most of the idol-making happens from June to January, with the biggest occasion being Durga Puja. There’s usually a frenzy of activity around 20 days before the Durga Puja festival begins, in order to get all the work finished. Visiting a cemetery isn’t usually high on the itineraries of tourists. However, this one is worth seeing, especially if you’re interested in India’s colonial history! Established in 1767, this poignant grand old British cemetery was used up until 1830 and is now a protected heritage site. 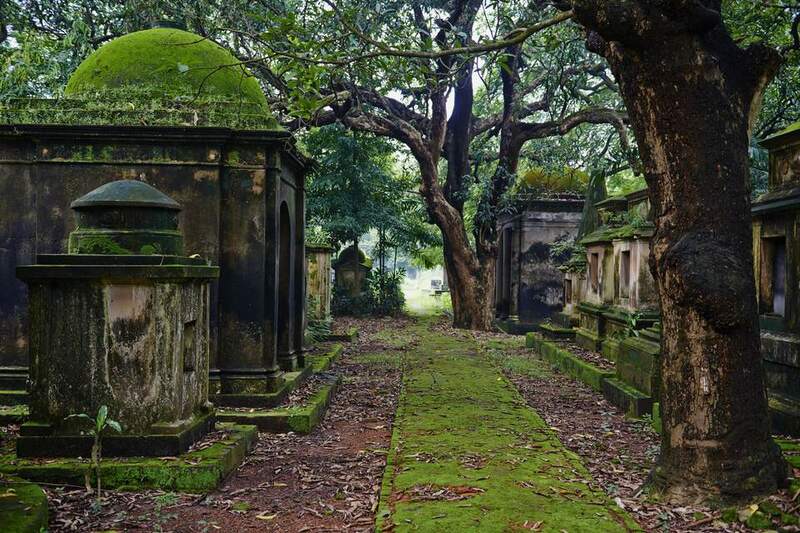 Overgrown and disheveled, its tombs are an elaborate mix of Gothic and Indo-Saracenic design and contain the bodies of many remarkable men and women from the Raj era. It’s intriguing to spend some time wandering around and reading the stories of their lives on the headstones. One of the people buried there is English trader Job Charnock, who was regarded as the founder of Kolkata (Calcutta). Location: Park Street, at the intersection of Rawdon Street. Open: Daily, from 8 a.m. until 5 p.m.
Kolkata is the only city in India to have a Chinatown (actually it has two, Old Chinatown and newly established Tangra). Many migrants came from China in the late 18th century to work at Calcutta port. As the sun rises, the stoves are fired up and knives start chopping to produce the legendary Chinese breakfast that Old Chinatown is notorious for. Feast on fresh delicacies such as momos, dumplings, prawn crackers, pork sausages, and fish ball soup. Unfortunately, the authenticity has waned in recent years and the dirt has piled up though. Location: Chatawala Guli. Tiretti Bazaar (also known as Tirati Bazaar), corner Bentinck Street and India Exchange Place Road, in the central business district area next to Bow Bazaar. It’s near Poddar Court. When to Go: 5.30 a.m. until around 8 a.m. (only for early birds)! Most of the action happens on Sunday mornings. 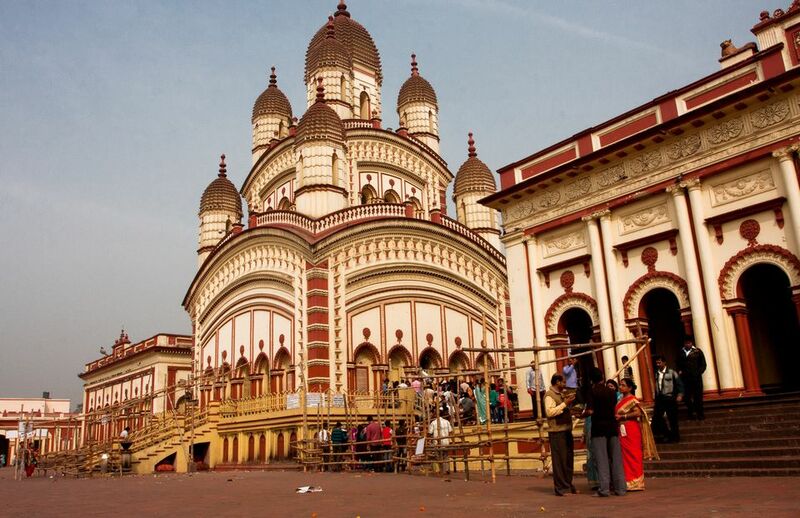 Recommended only for those who are ready for surrounding poverty, surging crowds, filth and pandemonium (otherwise visit Dakshineshwar Kali Temple as an alternative), the temple at Kalighat is dedicated to the fearsome patron goddess of Kolkata — Kali, the dark mother — and is integral to the city. Hidden in a maze of alleyways, the temple is known for its animal (particularly goat) sacrifices, which although outlawed are still performed regularly inside its enclosure to appease the blood-drinking goddess. Prepare to be approached by pushy temple priests who will try and extract as much money as possible from you. Location: South Kolkata. Kali Mandir Road, near Rash Behari Avenue. There is a Kalighat Metro train station. Open: 5 a.m until 2 p.m. and 4 p.m. until 10 p.m.
As a trading hub of eastern India, Kolkata is a great destination for shopping. Popular purchases include textiles, handicrafts, books and tea. Although a nightlife curfew has now been imposed in Kolkata, there are still some decent places to party. Durga Puja is the biggest festival of the year in Kolkata. Discover the best ways of experiencing it. You may like to volunteer in Kolkata. 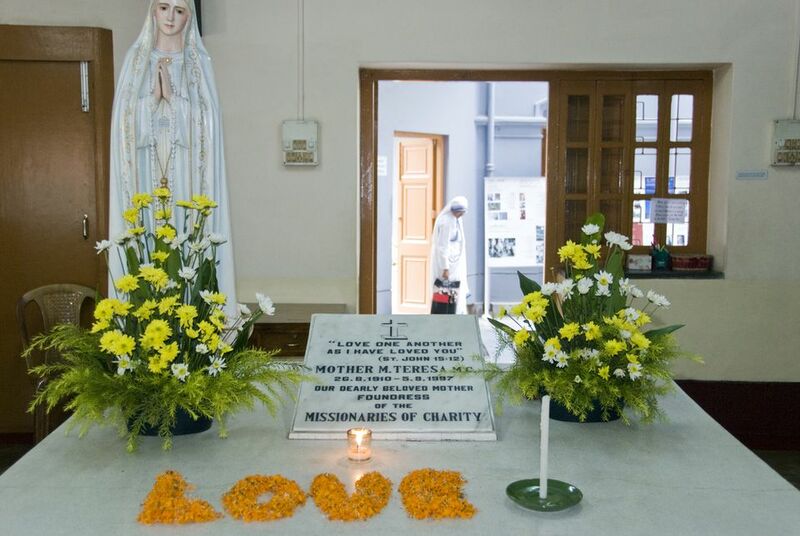 Mother Theresa’s Missionaries of Charity draws a lot of volunteers. There’s also a range of volunteer opportunities in human trafficking. Most people choose to stay in and around Park Street, as it’s close to the main tourist spots. Backpackers head to nearby Sudder Street, where there’s a plethora of inexpensive accommodations. Bengalis are passionate about food (especially fish), so don’t miss sampling some delicious Bengali cuisine at these authentic restaurants or kathi rolls (a popular street food that originated in Kolkata). Although the people of Kolkata are warm and friendly, a great deal of poverty still remains, making begging and scams a problem. Short-changing and pick-pocketing are particularly prevalent. Kolkata is a reasonably safe Indian city though. However, Sudder Street does attract some undesirable types of people, including drug dealers. 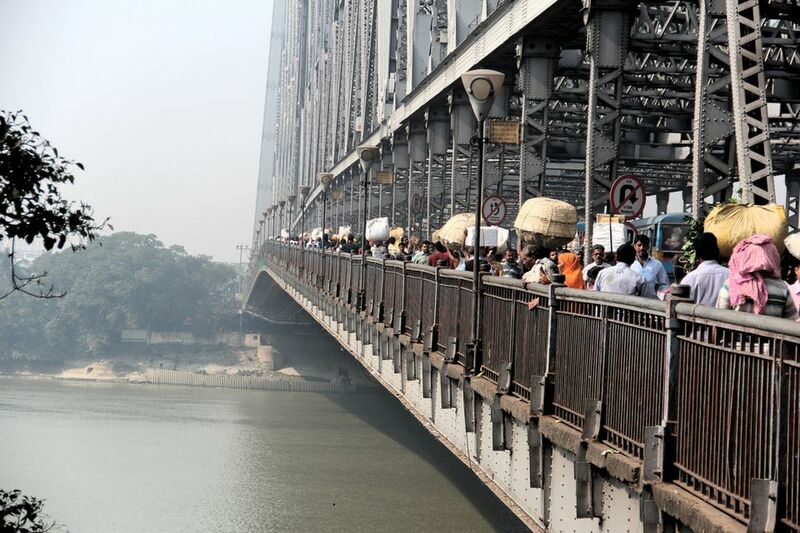 Kolkata experiences political and industrial action that brings the city to a complete standstill. During these bandhs (strikes), it’s virtually impossible to get around the city as transport doesn’t operate and all shops remain closed. As always in India, it’s important not to drink the water in Kolkata. Instead buy readily available and inexpensive bottled water to stay healthy. In addition, it’s a good idea to visit your doctor or travel clinic well in advance of your departure date to ensure that you receive all the necessary immunizations and medications.